Melton Classics offers their tapered columns in the widest selection of authentic classical designs that you’ll find anywhere in the US. Their tapered columns are designed meticulously with the Orders of Architecture set down in the 1500’s by the renowned Renaissance architect Vignola. In addition to our tapered columns that are offered in a traditional style, Melton also offers a large variety of other designs of tapered columns including contemporary columns, craftsman tapered columns, as well as Arts and Crafts tapered columns. We specialize in manufacturing the most custom array of columns all at amazingly affordable prices. A limited imagination is the only limitation on the tapered columns that we can design for your individual project. This is why we have the most experience columns design specialist on our staff. They have unlimited experience in choosing the right tapered columns to enhance the architectural feeling that your project is calling for. Melton’s tapered columns are crafted by seasoned craftsmen who adhere to our impeccable guidelines. Your tapered columns are manufactured in dozens of the finest materials available. This allows us to provide you with the ideal tapered columns for your individual project. Melton Classics offers the most vast selection of tapered columns in an endless variety of designs and materials all at amazingly affordable prices. It doesn’t matter if your architectural column project calls for a simple straight tapered square porch column, some non-tapered square columns or even square tapered columns with an authentic architectural entasis taper, you will find the product you’re looking for at Melton Classics. When you’re in search of the most stylish and high quality tapered columns available, you will find the most comprehensive selection of architectural designs in the industry at Melton Classics. Does your building project lend itself to Craftsman or Arts and Crafts style tapered columns? Meet with one of our design experts and find out about the endless possibilities for your individual building application. 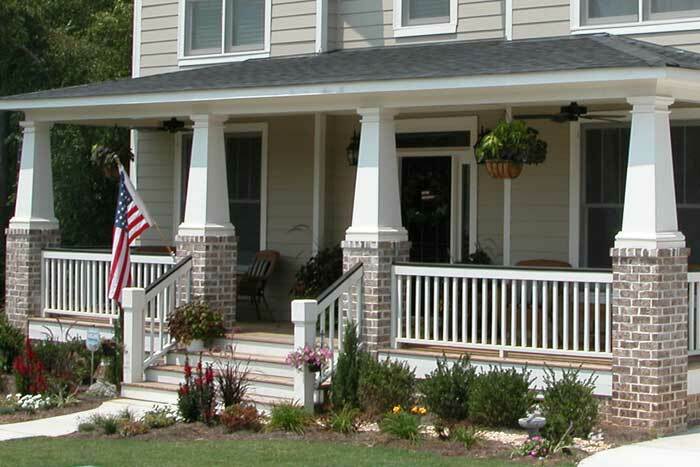 Melton’s trademark FiberWound Classic Fiberglass Columns combines ingenuity & durability along with classic design. Our lifetime warranty DuraClassic PolyMarble Composite Fiberglass Columns are complete with impact resistant caps and bases cast from our poly/marble composite to provide the most beautiful and durable tapered columns available in the market today.